Q. How long should the hairs be before I epilate? What is the minimum and maximum length? 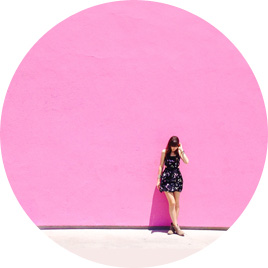 In general, hair length doesn’t matter since you can always trim it to the correct length. You can start epilating the day you receive your epilator machine. While there is no special hair length for epilation, you will want to remove hair when it is short. It is actually less painful when the hair is shorter. The great thing about epilating is that you don’t have to wait for your hair to grow out long like with waxing. This is great because hair doesn’t grow at the same rate. At any given time, some hair can be longer than others. So you don’t have to go through that awkward period of wearing pants while you wait for the hair to grow out to a certain length. 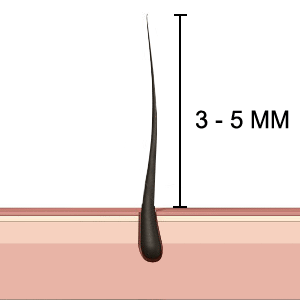 The optimum length is between 3 – 5 mm which is about 1/8 of an inch. That is about half the length of your pinky finger. 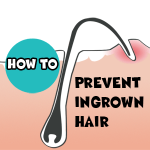 In fact, if you epilate on longer hair there is a greater likelihood that the hair will break, increasing the probability of ingrown hair. Anything longer than a centimeter should be trimmed. Most epilators advertise that they can pick up hair as small as 0.5mm. Some epilators are better at picking up shorter hair especially on curvier areas. 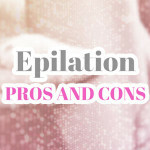 See which epilators performed the best on shorter hair here. However, epilators won’t be able to grab very short stubble that can sometimes be picked up with a good pair of tweezers. It needs something to grab onto. If hair is too short, leave it until it gets a bit longer. The optimum length is between 3 – 5 mm which is about 1/8 of an inch. Some people have trouble visualizing how big that exactly is. That is about half the length of your pinky finger. To catch more hair on the same cycle, if you have never epilated before, wait for the hair to grow out for at least a month. Then trim the hair using a guard. Most epilators have a trimmer that cut the hair to the correct length. If don’t have a trimmer, you can shave and wait for 1 to 2 days of re-growth. This means that you might have to epilate more frequently than waxing since you don’t have to wait for the hair to grow back to a certain length. Sometimes after you epilate, you might notice new Anagen hairs growing soon after. You should try to remove these soon after epilating the first time to align these to the same cycle. Each hair will take 2 – 4 weeks to grow back. In the beginning, all of your hair is on different cycles. With epilation the goal is to try to align all the different hair cycles so you can go for longer periods of smoothness. Thanks for your website! It’s really helpful! However I was just wondering if you actually meant something different than what you said in one spot in this article. Did you mean than 1/8 inch is actually about half the length of the fingernail on your pinky, not half the length of your pinky finger? I was wondering the same thing. I read that over and over. Hair would be pretty long to be half the length of my pinky. And I don’t have big hands.